Bulleteer Customs is one of the famous customisation studios in the country that have produced some stunning modified motorcycles. 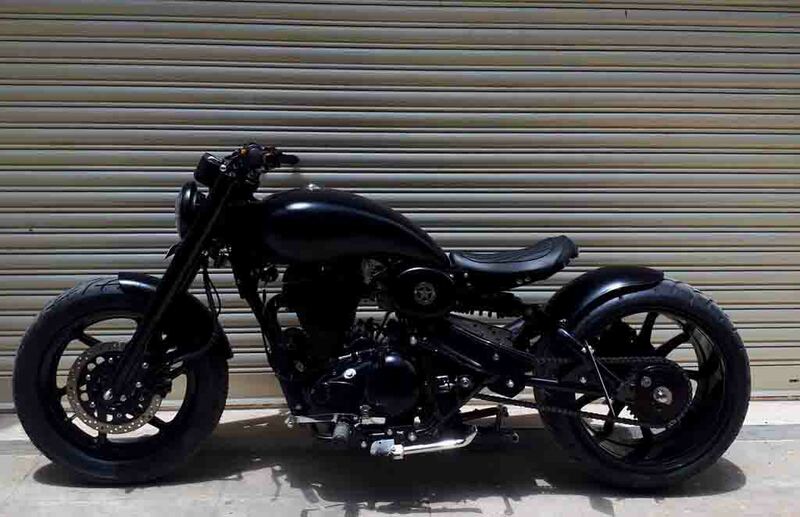 Latest from them is the ‘Old Smuggler’, a completely black painted beast like Royal Enfield with retro bobber stance. 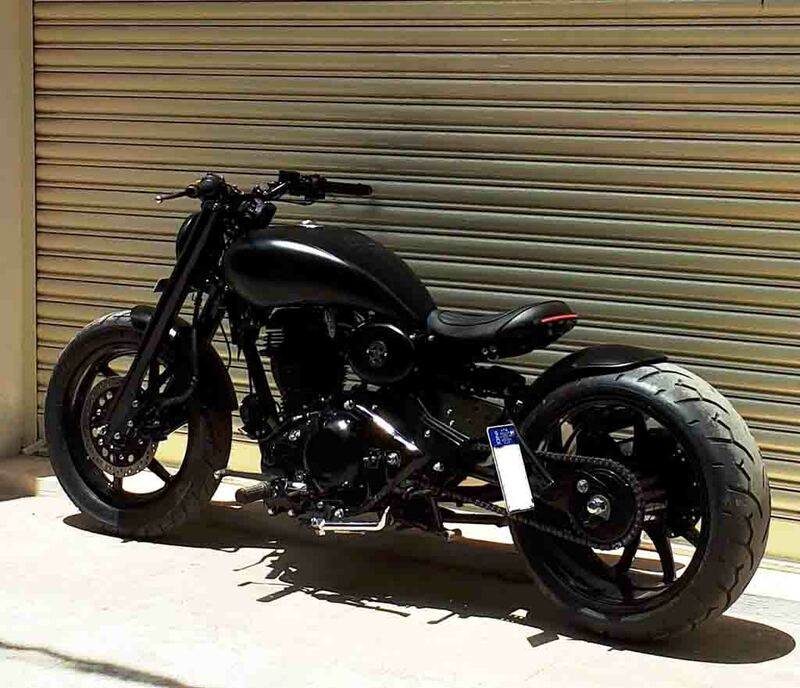 This motorcycle appears very muscular looking and it sports several custom body parts. It looks like Bulleteer Customs took little bit of inspiration from the Batpod. The motorcycle gets a round custom headlamp with LED cluster and it wears black bezel. It takes the single-pod instrument cluster from Royal Enfield Continental GT and the handlebars too come modified with a slightly raised and wide stance. 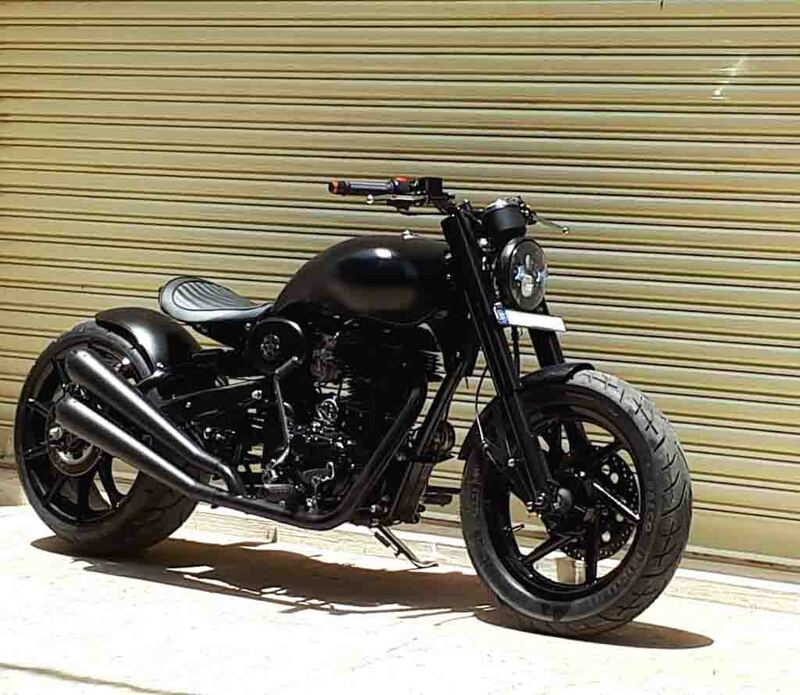 A complete black and chunky fuel tank enhances the muscular tone of the motorcycle and at the side profile of the tank ‘OLD SMUGGLER’ is scribbled. The motorcycle features a wide seat offering the rider pretty comfortable riding experience. Also, the lower positioning of the seat ensures better control over the beast like machine. The front and rear fenders have been shortened to bare minimum and the frame too have been modified. What makes the motorcycle interesting is the wide rear wheel. 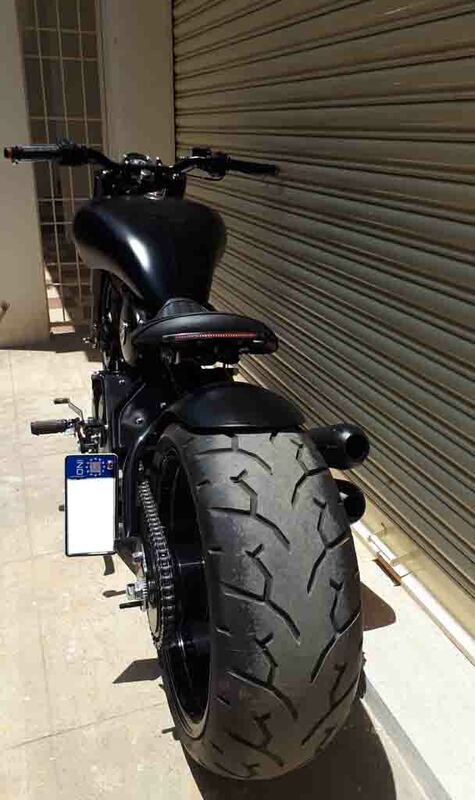 The motorcycle runs on customised black alloy wheels wrapped with meaty tyres. For braking duty, the customised motorcycle relies on front disc brake and rear drum unit. The engine block, side panels have been blacked out as well. It gets twin barrel exhaust taken from Continental GT. 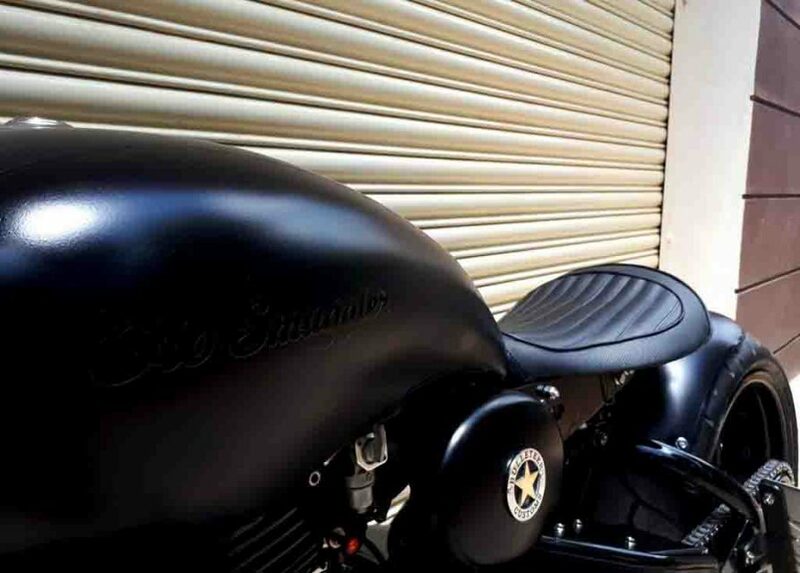 Overall, this motorcycle arrives as one of the best customised model. Royal Enfield is currently preparing to launch a new 750 cc Continental GT that will be the flagship model upon launch. Apart from that, it is also working on a 750 cc Himalayan. The Chennai-based motorcycle manufacturer has announced that it will revamp the product portfolio within next couple of years. However, the Classic, Bullet and Continental GT model will continue as these fetch the maximum sales number for the brand.